Recently we realised how many incredible books are piling up on our table, and decided to share these recommendations with you all. Each book approaches early childhood learning and our relationships with children from a different perspective. From young people and their art, to insights on the power of nature, there are so many ideas, reflections and educational research to learn from. All of the books are suitable for both teachers and parents. Besides, who doesn't love a good recommendation! This book is about young children and their art. 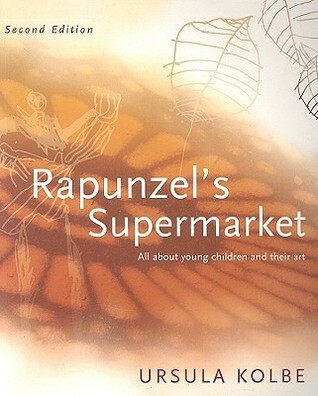 It's an inspirational book filled with ideas for helping children realise their potential as image-makers. Building on children's curiosity about their world, it offers many suggestions for drawing, painting, collage, clay and puppet making, A wonderful resources for all who live and work with young children. Ideas and projects suitable for ages 1 1/2 - 8 years old. Inspired by the Reggio Emilia teaching philosophies, The Language of Art emphasises investigation anchored by drawing, painting and other art activities. It provides great advice on setting up a studio space for art and enquiry. A fantastic resource for any parents who'd like to make a designated area for their child's creations, or teachers who wish to take current art spaces to the next level. "I like to play indoors better 'cause that's where all the electrical outlets are," reports a small child. If this comment disturbs you, then Last Child in the Woods is a must read. 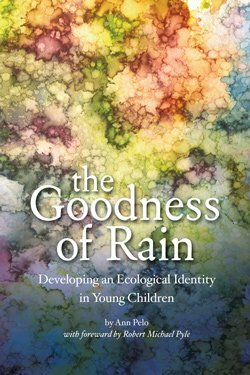 The book guides readers in the direction of nature and all the joys it can provide. Author Richard Louv combines cutting-edge research (that might startle you at times) with practical solutions that are easy to try. The only encouragement one needs to get outside and unplug from devices regularly. A lovely book about ecological exploration. Ann Pelo embarks on a year-long journey with a toddler, and writes about their adventures together for us all to enjoy. It demonstrates that we can teach a child, but at the same time, we must let the child teach us. Great for all parents, educators and anyone that works with children.